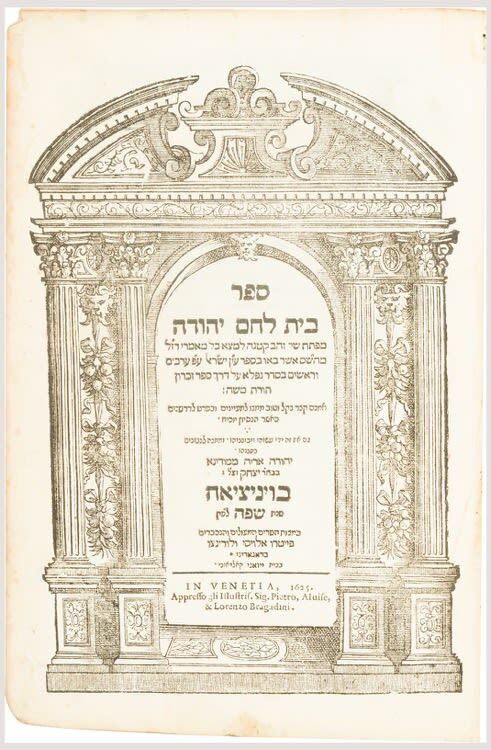 Bidspirit auction | MODENA, JUDAH ARYEH (LEONE) DA. MODENA, JUDAH ARYEH (LEONE) DA. Beith Lechem Yehudah [Aggadic concordance]. FIRST EDITION. ff. 26. Edges lightly discolored. Modern boards. Folio. Vinograd, Venice 1156.